We’ve heard it said before that “Sunderland were lucky to get nil” but the boot was on the other foot today as Sunderland won probably about as comfortably as any side could hope to win a football match. Although no team ever has 100% of the game this was as close to such an event as you will get. 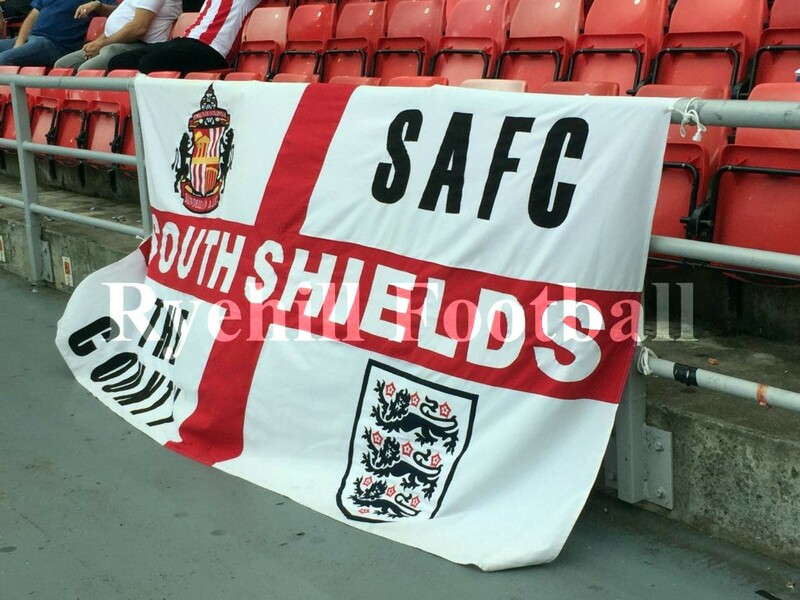 Sunderland opened the game as they had against Sheffield Wednesday in midweek, dominant, but for 20 minutes unable to score and with Scunthorpe’s central defenders happy to hit row Z at every opportunity you hoped that it was just a matter of time before SAFC got a break. That break came shortly after the 20 minute mark when 2 goals in as many minutes effectively killed the game as a competition. First a lovely looping header at the South Stand over the keeper from Max Power made it 1 v 0 and then Maja, an edge of the box snapshot that caught the goalie unawares at the near post, made it 2. In between then and the interval Maguire scored the goal of the game as a lovely sweeping passing move saw the lad almost walk the ball into the net. At 3 v 0 it was all over bar the second half shouting and you wondered if Sunderland could hit 5. In the second half Scunthorpe tried to open the game up but they were continually pegged back and although they had a couple of good chances it was the home side who missed an absolute sitter late on which would have deservedly made it 4 and put the icing on the cake. 3 v 0 it stayed as the red and whites move up to joint 3rd with Barnsley in the table, led by Peterborough and Portsmouth. Difficult to know what to make of Scunthorpe. Like a lot of SAFC fans I’m non plussed and not knowledgeable about this division although they were tipped for good things this season. They looked poor but maybe thats doing Sunderland a disservice. They brought a fair few fans up but made little noise. I thought that all of the SAFC players played well and had my eye on Cattermole and Baldwin, who both had good games. The latter in particular looks very good on the deck and would make an ideal Libero if we played such tactics at this level. Special mentions also to Maguire, Power and Oviedo. With lads to come back from injury it bodes well for the team as we get to grips with this division. Absolutely no one is getting carried away but there is a steely determination to get the job done and get promotion as quickly as possible. If we keep playing like this we will give ourselves an excellent chance of doing just that. Early days though. Yet another superb 30k crowd and witnessing Sartori in the South Stand with all the lads and lasses was an unusual but, regime wise, typifying sight. The show moves on to Gillingham midweek.